Uhh what is going on here? Looks like something out of Inception. 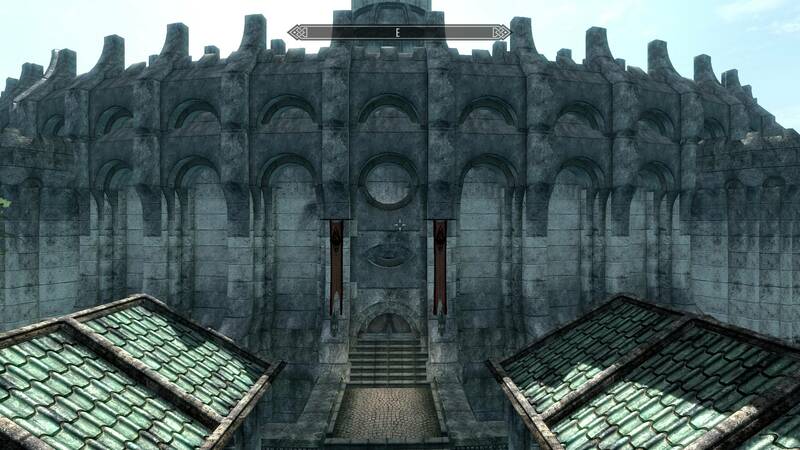 As far as I can tell, this only affects all the walls in every Imperial City district and the White Gold Tower. 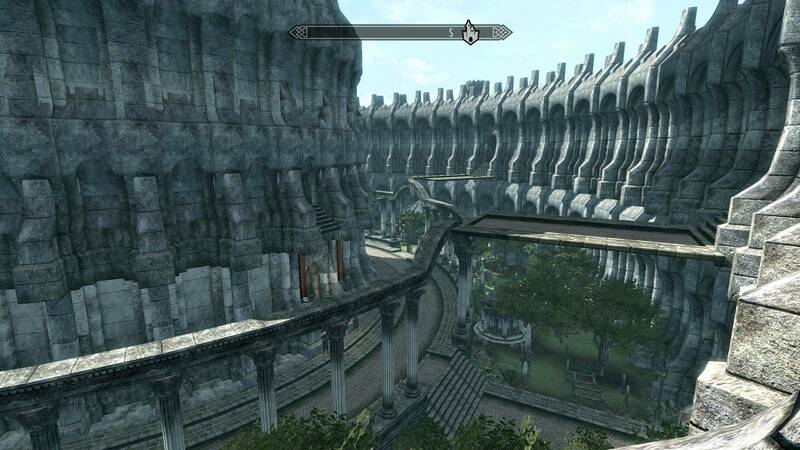 But the Imperial City looks fine from the outside worldspace, and I don't see this anywhere else except in the Imperial City. What could have gone wrong with the installation that I ended up with this? Looks like duplicate objects stacking on each other. Thanks for the help. Is it version 0.1? Weather has changed in 0.2, so I doubt it is the latest version. Afaik it was caused by an old optional full lod plugin. Yea this is 0.1. And yup that's what it was, a file called lod.esp. It's been a while since I had to reinstall so I completely forgot about things like deleting that file and weapon textures go into \textures\TES4 while other textures go in the root \textures\ folder. What does that file do? As far as I can tell distant textures were less muddy using it (I just noticed that while looking at a distant bridge from the Waterfront district) but it completely screwed up the Imperial City. Thanks for the quick and easy fix! You want to wait for 0.2, I'm planning to make it public once facegen is ready and merged. Initially wanted to include other improvements too, but we don't have much time now for Skyblivion and this can take too much time. I am waiting for 0.2, but I'm not going to delete my 0.1 files until then ;) Mainly I was using it last year for a side project and trying to convert the other DLC's, but I haven't played or modded Skyrim in a while. I have some more time on my hands now, so I was going to start lanscaping, navmeshing and doing some facegens. Just wanted to make sure I didn't botch up my reinstallation. I see you guys still have only a few people working on it, so let me know if you need any help somewhere. I really hope we'll make a decent amount of progress on it by the time Skywind gets a full release and the main focus becomes Skyblivion.